This was a photoshoot done on location for UNCVR, a Hong Kong-based men’s clothing subscription service. The client needed lifestyle photographs to highlight their designs in the winter season, used on social media, website, and marketing materials. We chose the location of Bread and Beast in Wan Chai for the textures and colors of its decor. The sandwich spot’s outdoor area also was ideal for naturally lit lifestyle photos. 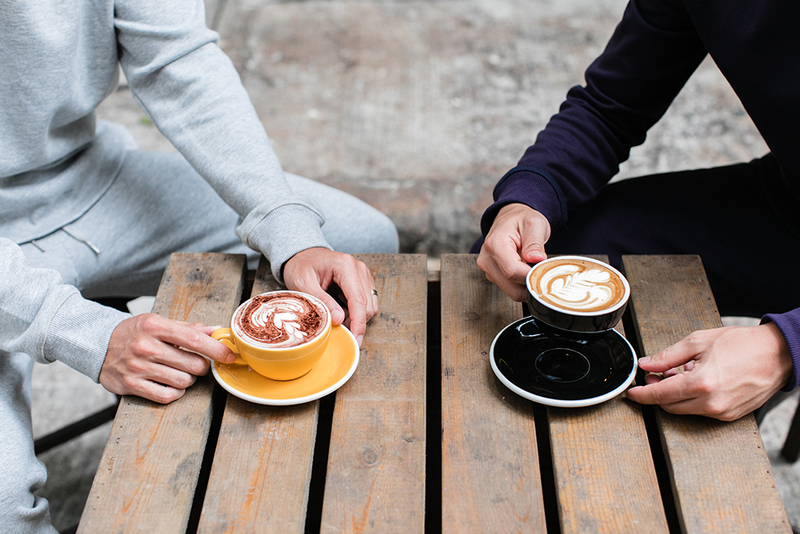 The scene was set for our two models, Jared and Shinn, to enjoy a warm cup of coffee while hanging out in the comfortable sweatshirt and sweatpants sets. 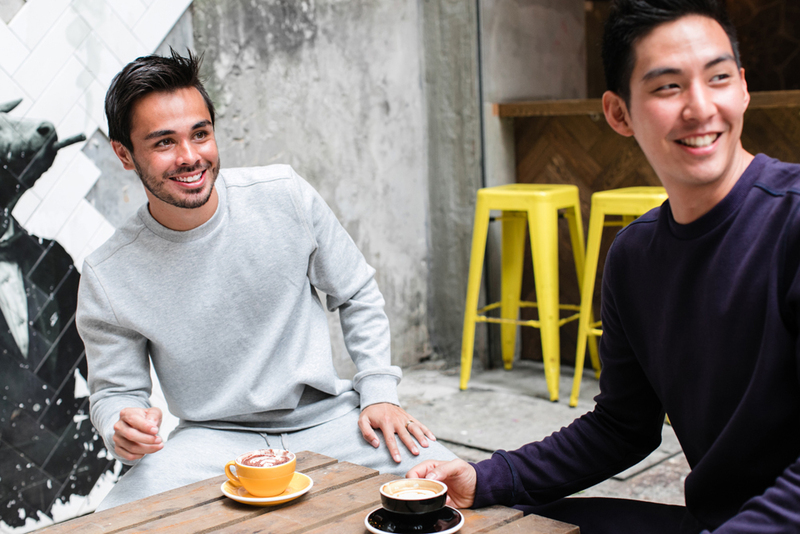 The photography direction for this campaign was to keep the interactions casual and natural. It helped that the models had already met once before and they had a great rapport, making my job as the photographer so much easier. A special thanks goes to Bread and Beast for allowing us to use the space! I loved having the pop of color from the bright yellow bar stools that made the winter morning seem more cheerful.